A modern suite with strong defined lines to accentuate angles without comprising on compact dimensions. Priced from €469.00. Offer includes close coupled wc complete with soft close seat & cover. Basin W550 x D450 1 tap hole and pedestal and a quartz mono basin mixer tap & waste. 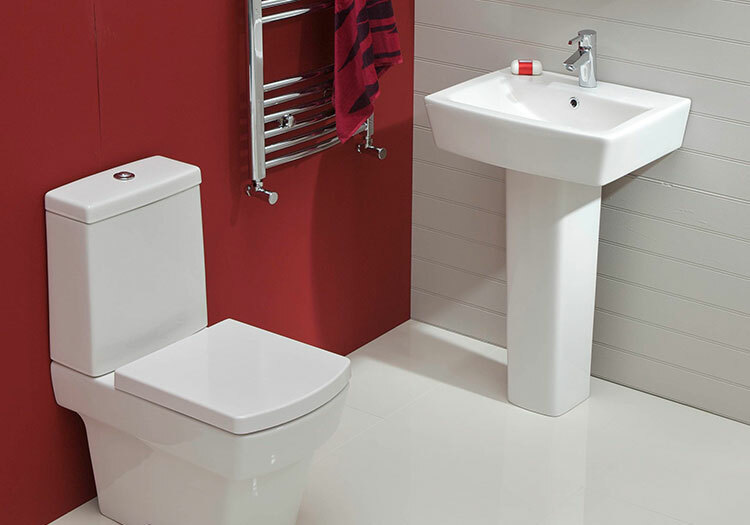 Within the Quadro suite range the option for a back to wall wc or wall hung wc is also available at an additional cost.